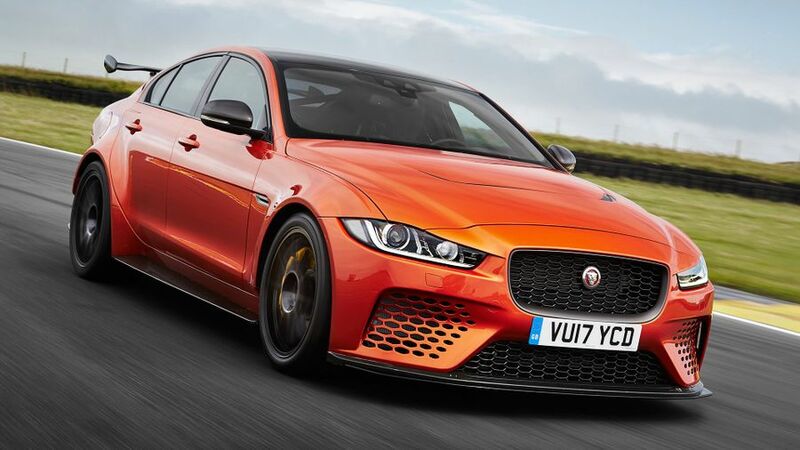 Jaguar has revealed the most extreme and fastest road-going car in its history, the XE SV Project 8. And, we’ll get our first chance to see it in action at the Goodwood Festival of Speed on June 30. It’s the latest product from Jaguar’s Special Vehicle Operations division – hence the ‘SV’ in its name – and is hand-built in Warwickshire. Although it’s based on a regular XE, the result of the SV craftsmen’s work is a very different beast. 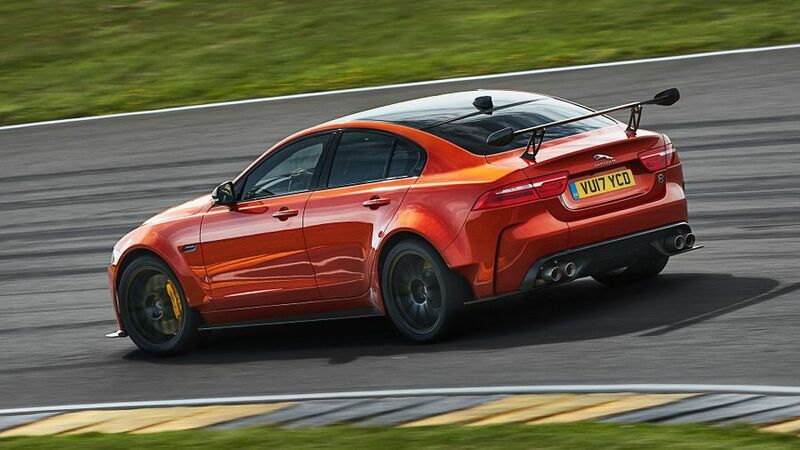 At its heart is the most powerful engine the company has ever fitted to a road car: a supercharged 5.0-litre V8 with the best part of 600bhp that is enough to get the car to 60mph in just 3.3 seconds and on to a maximum speed of 200mph. In other words, this is a four-door executive saloon that’s as quick as a supercar. However, there’s much more to creating this car than just shoe-horning in a massive engine. It also comes with a four-wheel drive system and carbon ceramic brakes to control all that power, while there’s extensive revision to the car’s bodywork, too. In part, that’s to keep the car’s weight down – the bonnet and bumpers are made of carbon fibre, for instance – but it’s also to improve the car’s aerodynamics and, therefore, its performance. So, the XE SV’s front splitter, rear diffuser and massive rear wing are all bespoke, while the underside of the car is flattened to improve the airflow. The standard XE’s suspension has also been stiffened to suit the extra power, and comes with variable dampers, which allow for a 15mm lower ride height when the car is being used on a track. With such use in mind, this is also the first Jaguar to come with a dedicated ‘Track’ mode, which sharpens the throttle and steering response, as well adjusting the stability control system. Inside, too, that high-performance theme continues, with lots of carbon fibre and Alcantara trim. For the ultimate track-day special, you can even specify a Track Pack, which ditches the rear seats in favour of a metal frame to secure the racing harnesses that hold you tight in the carbon fibre sports seats. However, luxury hasn’t been totally forgotten; and, on top of all the performance-related accessories, the car also comes with an 11-speaker sound system, a WiFi hotspot and sat-nav, which (along with the whole infotainment system) is controlled through a 10.2-inch touch-screen. The XE SV is available in three standard paint colours – white, black and red – but there are five optional SVO colours, while pretty much any colour is available from the SVO Premium Palette range for buyers who are willing to spend a bit extra for the ultimate in exclusivity. Mind you, no more than 300 examples of the XE SV will be built, so it will be a very rare beast. What’s more, it will only come in left-hand drive. Prices start from £149,995, and the car is available to order now. Interested in buying a Jaguar XE?